The Gospel which bears the name Matthew was written early.13 Though some have attempted to dispute the authorship, there exists no copy of the first gospel which has any other name attached to it as author. The early church writers quoted from it as authoritative, and identified the tax collector as the one who wrote it. 2 I realize there is debate among some liberal scholars about the “Primacy of Mark,” but it was the universal belief of the ancient writers that Matthew wrote his gospel first. Additionally, though space forbids a more detailed explanation, Matthew’s gospel was clearly written to the Jews, the ones to whom the gospel was first taken. There are some traditions that place the death of Bartholomew in AD 44, and those same traditions also say that he took a copy of Matthew’s gospel account with him as he preached. Mark was a man whose influence was almost non-existent until the late 50s/early 60s; and Luke’s gospel was written around AD 60 as well. See H. Leo Boles Commentary on Matthew, pages x-xi (introduction), as well as J.W. McGarvey’s Commentary on Matthew and Mark, pages 9-10. “Some of the ancients give the eighth year after the ascension as the date, others the fifteenth” (Edwin W. Rice, People’s Dictionary of the Bible, “Matthew”). 5 Lest anyone decide to argue that Matthew the tax collector is different from Matthew the apostle, the man himself makes it clear: the apostle was “Matthew, the tax collector” (Matthew 10:3). 6 For more on this apostle, see the next chapter. 7 Mark calls both men “son of Alphaeus,” and there is no reason for doing so if there was no connection. Fausset, James Hastings, and the International Standard Bible Encyclopedia disagree, but the only argument they give is that Matthew and James aren’t together in the lists of the apostles. Apparently when Matthew himself lists James right after himself, that doesn’t count (Matthew 10:3). 9 It is said that the Greek name Alphaeus is the same as the Aramaic name Cleopas. The International Standard Bible Encyclopedia (see article “Alphaeus”) gives the arguments for this identification, but concludes that each of the points are nothing more than suppositions which cannot be proven. 10 The reasoning behind this will be detailed in the next chapter, and will be proven false. 13 As mentioned in a previous footnote, the ancients universally agreed that Matthew was the first gospel written. Some of them even said it was written within eight years of the ascension, AD 38. 14 Ante-Nicene Fathers, Vol. 1, page 155. 15 Irenaeus, Against Heresies, Book 3, chapter 1. Ante Nicene-Fathers, Vol. 1, page 414. The same author (Against Heresies, Book 1, ch. 26, par. 2) said that the Ebionites (A group of militant Christian Jews who rejected Paul’s writings and the possibility of Gentile salvation) only used Matthew’s gospel. This points to its continued existence in Hebrew form. Bible Q&A – Why Are Some Congregations Doing Away With Deacons? Question: I am a member of the church and I’m starting to see where many in the brotherhood are doing away with the role of Deacon. I know that other than the qualification of Deacon, deacon/deaconess is not mentioned much in the Bible. I would love your thoughts on this. I think the role of deacon needs to stay in the church and I’m not liking what I’m seeing or hearing. Thanks, Mark D.
Thanks for writing. I, too, have seen this trend taking place in some congregations across the country. There’s really several points to consider when looking at this topic. Let’s look at some possibilities (some valid, some not). Some congregations might be doing away with their deacons because they aren’t qualified. Sometimes congregations get in a hurry to select elders or deacons and don’t concentrate as much as they should on whether or not the people are qualified. The Bible does indeed give qualifications for a deacon, and if a man doesn’t meet those qualifications, he has no business fulfilling that role. Some congregations might be doing away with the deacons because there is no work for them to do. The word deacon means a servant, but it stresses his role, work, or function. The root of the word comes from an old Greek word which means “to run an errand.” When there is no specific work for a deacon, you have a servant with no role. Some smaller congregations had a deacon whose role was to take care of the educational material for the children’s classes. But what happens when there are no more children? When something like this is the case, it wouldn’t be wrong for that person to no longer have the title of deacon because he’s no longer got a specific job to fulfill (outside of the roles that are universal to every Christian). Some congregations are doing away with their deacons because they think deacons are not necessary. Unlike the first two, this isn’t a valid reason to do away with deacons in a congregation. God divinely ordained that congregations should have deacons (literally, servants or ministers). The apostle Paul wrote to the saints in Phillipi “with the elders and deacons” (Philippians 1:1). He also was inspired by God to give qualifications for deacons—something God wouldn’t have given if deacons are unnecessary. Some congregations are doing away with their deacons to circumvent the Scriptures. There are some congregations that have several women “ministers” on staff. At one point, some of these same congregations were pushing for deaconesses—women deacons. But the firestorm of controversy erupted, and most of them backed off. Instead, they just started hiring women staff members and called them things like “children’s education minister” or “senior members’ minister” or something like that. Remember what the word “deacon” actually means? It’s a servant or a minister with a specific job/role/function apart from the normal Christians’ work. In order to try to stop the controversy, some congregations have dropped the title “deacon” completely from their work. Each person who would normally be called a “deacon” is now called a specialized “minister.” This way, they figure, no one can say that they’ve got female deacons because they don’t have any deacons at all—at least, they don’t use the word deacon. Even though it’s the same thing. Some congregations have stopped using the word elders, in favor of the word shepherds. There’s nothing wrong with this, just like there’s nothing wrong with using the word ministers instead of deacons. But let’s not do it with the purpose of trying to circumvent God’s word. Having female ministers in the church is the same as having deaconesses in the church—changing the name you use doesn’t somehow make it right in God’s eyes. 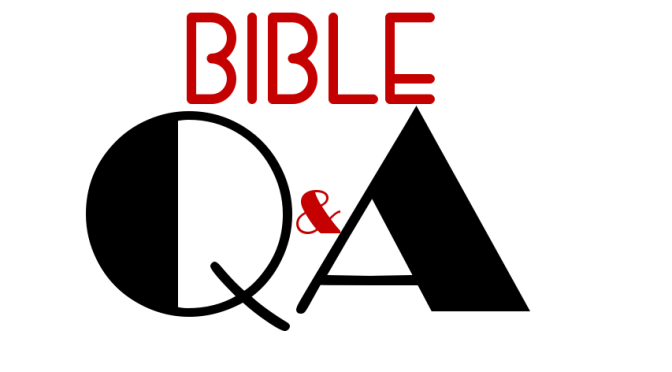 Bible Q&A – Is the Bible from God? This letter may make you chuckle, but hopefully it will also show you that showing the Bible is from God isn’t as hard as you might think. And in case you wondered, “Aunt Agnes” isn’t a real person. Enjoy! I heard about the confrontation you had with your science teacher at college. I never dreamed that you would share my last letter with him. Grandpa said you wouldn’t sit down until he read the letter and answered the arguments for the existence of God. It amazes me that he didn’t even try to argue. Good job! Has uncle Bubba’s toe healed yet? He needs to be more careful with that post-hole digger. I am happy that you have come back to realizing that God truly exists. I do disagree with you, however on one thing. You said in your last letter that there is no proof that the Bible is really from God, and I am just taking it on blind faith. That’s really not the case. I’ll see if I can explain what I mean. Could Junior have written a book like “Gone With the Wind”? Of course not. Junior’s not smart enough to have written that book. That proves it was written by someone more intelligent than him. It’s the same way with the Bible. If we can look at the Bible and see things in it that are beyond the capacity of human beings, it must have come from someone more intelligent than any human. That someone would be God. By the way, that is another way you can prove to someone that God exists. For example, in Isaiah 40:22, it speaks of the circle of the earth. The word there actually means a sphere, like a ball. That’s not much of a surprise to us today, but when that was written (over 2,000 years ago), everyone thought the earth was flat. If you remember, that was still the common belief when Columbus sailed to America just over 500 years ago! But somehow the Bible knew it before anyone else. Also, I learned in elementary school that there are currents in the oceans. If you saw that movie Finding Nemo, you’ll remember that the dad fish and the turtles rode the East Australian Current. That is one of them. They were discovered less than 150 years ago. Before that, no one knew about them. Well, no one except for the Bible. Psalm 8:8 speaks of the paths of the seas. This was around 3,000 years ago! How could the Bible contain things that humans have only discovered in that past few hundreds of years? There is only one possible explanation: it was given by God. The people who wrote the books of the Bible were given what they were supposed to write straight from God. If the Bible was just something that a group of men came up with, how could it have endured for thousands of years when people have tried and tried to destroy it? Even in the Bible, there were people who attempted to destroy all traces of God’s word. There was a wicked king named Jehoiakim who heard God’s word read to him and he got so made after only a few pages that he cut it up and burned it. That’s in Jeremiah chapter 36. If you read further, you will see that God just had Jeremiah’s secretary write it again. So, even the king could not destroy it. Over 2,000 years ago, there was a somewhat insane ruler named Antiochus who tried to destroy all traces of Jewish worship. He even went so far as to burn every copy of the Old Testament that he could find, and kill all the people he found that possessed copies of it. This man was the ruler of the empire at the time, and yet the Old Testament still exists and we have many copies of it. He’s dead, but the Bible lives on. Many people since then (including some rulers of the entire Roman Empire) have tried to physically destroy the Bible. Some extremely powerful people have done everything that they could to keep all copies of the Bible out of the hands of the common people. Still others have tried to destroy the Bible intellectually. Many people who did not believe in God stated that the Bible would be completely forgotten in their lifetimes. But they keep dying; the Bible lives on. How do you explain the fact that the Bible has endured more persecution than any person or book in history, yet it still lives on in abundance? There are literally millions of Bibles printed every month. God gave us the Bible, and He is making sure we always have it. Do you remember hearing a few years ago about them finding another ancient city that was mentioned in the Bible? That happens quite frequently nowadays. The archaeologists keep digging up more things that confirm that the Bible is correct. There have been many people mentioned in the Bible that skeptics say never really existed, but time after time, evidence keeps proving them wrong. There was an entire nation of people in the Bible, called the Hittites, that some people said did not ever exist, but archaeological evidence has proven that they existed, and that they existed exactly when the Bible says they did. Some people have even gone so far in their efforts to discredit the Bible that they say Moses couldn’t have written the first five books of the Bible because there was not any written language back then. Yet, archaeologists discovered that there was a written language around 3500 BC, which was about 2,000 years before Moses was born. How is it that the “greatest” historians have to keep re-writing their histories as new evidence comes up, but the Bible is always right? It can only be that the Bible is from God; that is why it is 100% accurate. Another thing that proves the Bible came from God is the fact that even though it was written by around 40 men over a period of about 1600 years, they all agree with each other. The writers of the Bible came from far different backgrounds and educations, yet they are all united in their presentation. There were kings, shepherds, a doctor, and even a tax collector that all wrote what God said to write. Have you ever wondered how all these people could have known what to write, and to make it in perfect harmony with the rest of the Bible? You could not get 40 people who knew each other to sit in the same room and write on the same subject and all be in agreement. How is it that the Bible accomplished just that? God told them what to write! I bet you’re probably thinking “but the Bible does not always agree.” You probably think that there are contradictions in the Bible. I once heard someone say there were thousands of contradictions in the Bible. That is simply not true. While we might not completely understand everything involved in a supposed contradiction, most of them are easily explained. For example, suppose you were speaking with aunt Rex and Uncle Blondie and asking them who they saw in the grocery store. Rex says she saw Kacie and Rick, but Blondie just tells you they saw Rick. Is one of them lying to you? No, Rex is just telling you a more complete version of it. A large chunk of the supposed contradictions involve similar scenarios. Matthew 8:28 speaks of two demon-possessed men healed by Jesus, while Luke and Mark both only mention one. Well, Matthew simply mentions all of them, the others only mentioned one of them. That is not a contradiction. The same type of “contradiction” appears in how many angels were at the tomb of Jesus. Matthew and Mark each mention one angel, but Luke mentions two. Luke gave a fuller account of what happened there. There is no contradiction. One great writer once said that a contradiction cannot exist unless it is impossible for both accounts to be true. If there were two angels, it is obvious that there was at least one angel there. The records of the Bible are complimentary. Sometimes, there are totally different things mentioned in the same story. Well, Agnes, why do they always call so many witnesses in trials? Isn’t one witness good enough? You know better than that. One person sees things from a different angle, and may relay different parts of the story from another. The same is true with the Bible. Over the four gospel accounts (Matthew, Mark, Luke, and John), there are seven different things said by Jesus while He was on the cross. Is one of them untrustworthy if he doesn’t mention all seven things? Are they contradictory if they mention some, but not others? Of course not. You must have read twenty different biographies of Elvis, but do all of them say the same thing that the others do? No, they all add different information that the others leave out. It all depends on what the author was wanting to focus on. When you read them all, you get a fuller idea of who Elvis was. In the Bible, there are four different books about the life of Jesus; when you read all of them, you get a fuller idea of who Jesus really was. You get the whole story that way. One of the things that a lot of people point to as a contradiction is the genealogies of Christ. There are two of them given in the New Testament. One of them is in Matthew, and the other is in Luke. There are almost no similarities between them, except for just a few names. Let me ask you something before I go any further: is your mother’s family line the same as your father’s? Of course not. One of the genealogies was from Jesus’ mother, Mary’s side of the family, and the other was from His adoptive father, Joseph. So you see, there are some things that seem at first glance to be contradictions, but when you look at them, there is a logical explanation for each of them. Sometimes, we don’t know the answer, but when you have a reliable witness, you take it on faith until you find the evidence to prove it. That might seem odd to say, but remember old aunt Sue? You could take her word for anything; she never told a fib. If she told you something that sounded outlandish, you would still believe her, right? That’s because she has been completely trustworthy and reliable on everything else. You should treat the Bible in the same way. As I’ve mentioned throughout this letter, the Bible has been proven reliable and accurate over and over again. There is no reason to doubt anything that it says! Well, I guess that’s about it for now. Remember, you can always call me if you have any questions about this stuff. I’m no expert, but I’ll do my best to talk with you so that we’re both on the same page. Have a nice week! Bible Q&A – Do We Have All the Apostles’ Letters? That’s a great question, and it really deserves an answer. After all, if we don’t have everything, there could be something important that God expects of us that we don’t know about! We know that the Old Testament mentions books and writings that we don’t have. However, many of those are mentioned simply as historical records and not God-inspired books. Other writings mentioned in the Old Testament might be references to specific Old Testament books, just under a different name. For example, 2 Chronicles 9:29 mentions “the book of Nathan the prophet…the prophecy of Ahijah the Shilonite, and…the visions of Iddo the seer.” This could very well be a reference to the books of first and second Kings. But now, let’s look at the questions that were asked. Do we have everything the apostles wrote? No, we don’t. How can I say that? I find it difficult—no, impossible to believe that 75% of the apostles never wrote anything. I also find it impossible to believe that the apostle Paul spends two years in jail in Caesarea and writes nothing during that time. Or that during his (minimum) two years—730 days—in jail in Rome, he only writes four short letters. But the fact that we don’t have everything that ever was written by the apostles shouldn’t make us concerned. 1. Not everything the apostles wrote would have been inspired. If the apostle Paul gave Luke a list of scrolls to pick up from the Roman library, that wouldn’t have been an inspired list. So, even if we’re missing Andrew’s list of chores for his son to do, that doesn’t mean we’re missing anything inspired. Letters by the apostles of a non-religious nature would not be inspired, nor would there be any reason for them to be copied and passed on for 2,000 years. That’s why we don’t have any of them. 2. A different letter doesn’t mean it contained different information. Look at the books of Colossians and Ephesians. They are very similar in a lot of the things they discuss. Many congregations were dealing with the same kinds of problems. So, even if Paul wrote a letter to the church in Macedonia, that doesn’t mean it contained anything different from what’s in the other letters that we do have. If letters to other congregations were written by Paul or the other apostles, they would have been inspired, but they would have contained basically the same information as we have in the New Testament books. 4. Any supposedly missing letters were not ever recorded as existing. The early church (the first couple centuries after Christ) wrote a lot, and quoted from a lot of Scripture. So much so that it’s said, “if every copy of the Bible were destroyed, we could put it back together through quotes from the early Christian writers.” Every apostolic letter they mentioned or quoted from is contained in the 27 books of the New Testament. They never quoted from any other letters of Paul, Peter, Matthew, John, or any of the other apostles. This is because they didn’t have any others. If there were other letters, they were unknown to the church at large from the very beginning. 5. If we don’t have it, we don’t need it. God is powerful. God could rip apart the entire earth and then put it back together as though it had never happened. If God wanted us to have a specific letter, we’d have it. His word says that “all Scripture is given by inspiration of God…so that the man of God may be perfect, thoroughly furnished unto all good works,” and that God has given us everything “that pertains to life and godliness” (II Timothy 3:16-17, II Peter 1:3). God made sure that we have what we need. If there are other letters, they do not contain anything different or additional to what we already have. Because God is infinitely powerful, we can know that everything that He expects from us and commands of us is contained in the 27 books that are in the New Testament. The Bible is inspired by God, and evidence of the wonderfully amazing fulfillment of prophecy is all throughout the Bible. But I don’t believe that it’s a very good tool to use in convincing people that the Bible is inspired. I know preachers who think that “fulfillment of prophecy” is the biggest and best proof that the Bible is from God. That it is the “ace in the hole” for convincing skeptics. I was told that by one of my teachers in preaching school, and I’ve heard it many times since then. But I don’t think it’s very convincing. Don’t get me wrong, as someone who already believes in the Bible, I find the fulfillment of prophecy to be phenomenal. It blows my mind and leaves me awestruck that God could prophesy things hundreds–even thousands of years before they actually happened. Every time I discover another type/antitype or foreshadowing prophecy in the Bible, I get excited and it makes my faith even deeper. But that’s because I already believe the Bible is inspired. I want you now to imagine that you don’t believe the Bible is from God. In fact, you think that it was something put together by a bunch of folks who were writing after the fact, and that it is full of contradictions. Imagine that you are opposed to the very idea that the Bible could be from God. (1) In Isaiah, it says that God would raise up a man named Cyrus, and in Ezra, we learn that Cyrus–150 years later–was the name of the king of Persia. See, Isaiah even named him over a century before he was born! (2) In Nahum, God says that Nineveh (the capitol of Assyria) would be “dissolved,” and that’s literally what happened less than 100 years later when Babylon diverted the river and dissolved the mud bricks that Nineveh was built with! (3) The Old Testament foretells that the Christ would be born in Bethlehem, and would suffer and die, and establish His kingdom. All of those things were fulfilled in the New Testament. The point is this: if someone doesn’t already believe the Bible is inspired, then quoting prophecy and fulfillment in something they think is fiction anyway is not going to prove that it is from God. They’ll write it off as men looking at what was already written and trying to tie up loose ends in later books and letters. There are much better ways of proving the inspiration of the Bible. And once someone is convinced that the Bible is inspired, fulfillment of prophecy is a great tool to further convince them. It will help deepen their faith. But if they don’t already believe the Bible is from God, fulfillment of prophecy won’t convince them. 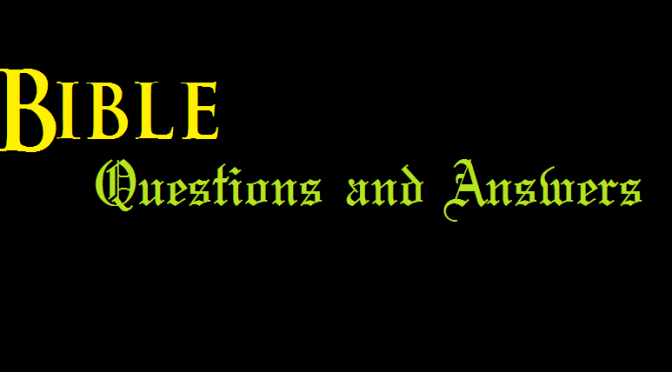 Bible Q&A – Is the Bible Incomplete? I heard someone say that our Bible is incomplete because we don’t have the “real” First Corinthians (I Cor. 5:9) or the “Letter from Laodicea” (Col. 4:16). 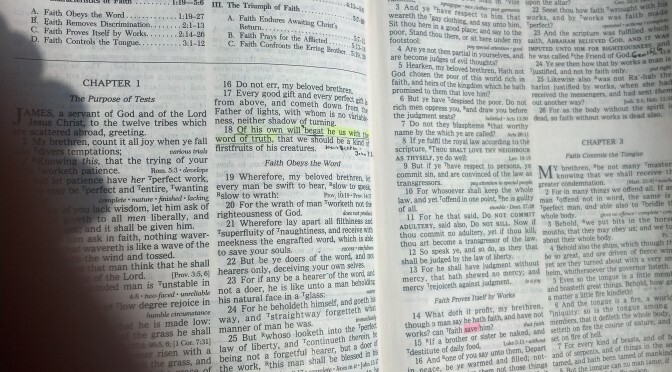 Is our Bible incomplete?–A.Y., from Oklahoma. Thanks for the question. This goes along with the question we discussed last week as well on the so-called “lost books of the Bible.” It’s true that some people say we have an incomplete Bible because it appears we might be missing some letters written by the apostles. By saying this, they try to cast doubt on God’s revealed word. After all, how can you know you are going to heaven if you don’t even have the complete Bible? What should the Christian’s response be to such charges? First, we need to understand the seriousness of the charge these people are making. To say we have an incomplete Bible is to question everything we know about God’s word. Imagine for a moment that there are parts of the Bible that were lost to time, and they included specific commands regarding worship or salvation that we simply do not have anymore. We couldn’t know whether or not we were pleasing to God. We couldn’t know if we were saved. We couldn’t be sure about anything! II Timothy 3:16-17 says Scripture is given so that we may be equipped for EVERY good work. But if part of the Scripture is missing, are we still equipped for EVERY good work? Also, this charge goes directly to the core of God Himself! To say God’s message to mankind (the Bible) is incomplete is to say that God is not all-powerful. Ask yourself this: Can God make sure His word is available to all mankind through the ages (see Mark 13:31)? Would a loving, all-powerful God allow His message to disappear to where it is impossible for people to follow it? Of course not! God providentially made sure that we have all that we need to be pleasing to Him (Romans 10:17, Hebrews 11:6, II Peter 1:3). Are we missing any inspired writings? It is very possible that the apostles wrote letters which we do not have today. After all, can we say for certain that Andrew, James, Phillip, Thomas, Bartholemew, James (son of Alphaeus), Simon (the zealot), Thaddeus, and Matthias never wrote a letter to Christians? Can we say for certain that in over 30 years of preaching and traveling that Paul only wrote 13 letters total? That Peter only wrote two letters? That John only wrote five (including Revelation)? While it might indeed be true, you would be hard-pressed to make a convincing argument that says the majority of the apostles never wrote anything. But, what we do have is what the all-powerful God of heaven decided was necessary for us to have. We do not have recorded for us all the words and acts of Jesus Christ. In fact, John said it would be impossible to write everything that Christ did (John 21:25). But do we have what we need? Absolutely! Even if we do not have everything written by each apostle, we still have those things we need to get us to heaven. The all-powerful God has given us what He decided we need. Other letters would not give us anything new or different than what we already have. So, if someone tries to claim that the Bible is incomplete, let them know that the all-powerful God has made sure we have everything that we need to get to heaven. The Bible, therefore, is perfect and complete. God included everything we need. If God wanted other books in the Bible, they would already be in there.